Even when a settlement agreement has been reached in a divorce case, subsequent issues may bring the matter back to court. In an April 13, 2017 decision, the Court of Appeals of Tennessee reviewed a post-divorce dispute regarding the wife’s claim against the husband for a portion of his military retirement benefits, among other claims. The lower court had ruled that the wife was entitled to approximately 30 percent of the husband’s retirement benefits going forward, but it declined to award her any portion of the benefits he received prior to the hearing because she had not presented sufficient proof as to the amount of those benefits. The wife timely appealed the matter to the higher court. The parties in the case were married in 1979 and had two children before divorcing in 1998. 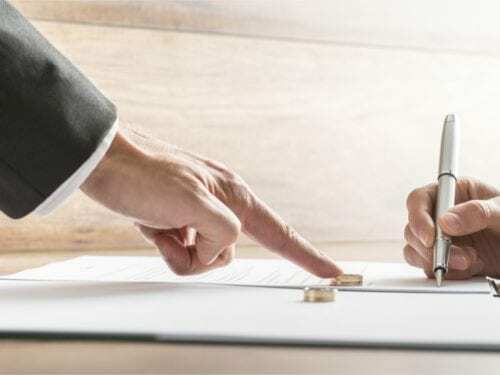 The parties mediated an agreement on the terms of the divorce and custody of the children, which was incorporated into the final divorce decree entered by the court. The marital dissolution agreement provided that the wife was entitled to the maximum allowable pension benefit available to her through her husband’s former employment with the U.S. Army, but not more than 50 percent. In 2004, the husband was notified that through an error, he was not eligible for retirement pay. The husband returned to the military and eventually qualified for military retirement benefits, albeit a different type of benefits that he was originally promised. The wife filed a complaint in 2015 against the husband for his alleged failure to provide her with her share of his military retirement benefits, pursuant to the parties’ marital dissolution agreement. On appeal, the wife contended that the trial court erred by not awarding her a judgment for her portion of retirement distributions made to the husband since he reached the age of 60. In Tennessee, the courts will generally construe and enforce the provisions of marital dissolution agreements like contracts. The essential elements of any breach of contract claim include (1) the existence of an enforceable contract, (2) a breach of the contract, and (3) damages. Since the wife was the party alleging the breach, she had the burden of proof with respect to all of the elements of her claim, including damages. The appeals court noted that the wife’s proof at trial solely consisted of testimony from the husband that he began receiving retirement benefits following his 60th birthday, and the first payment was received in 2012. However, she did not present any evidence of the amount the husband had been receiving on a monthly basis or even specify the amount of the judgment she was seeking. Accordingly, the appeals court held that the lower court did not err in declining to award the wife back retirement benefits. A knowledgeable divorce lawyer can help protect your rights during legal separation and dissolution proceedings. The Nashville attorneys at Martin Heller Potempa & Sheppard have significant experience representing individuals in family law litigation, including matters related to child and spousal support, property distribution, and more. To learn more from one of our trusted lawyers, contact our office by telephone at (615) 800-7096 or online and schedule your consultation. Every text message you send can and will be used against you in a divorce or custody case. “Escape” (a/k/a“The Pina Colada Song”) epitomizes Inappropriate Marital Conduct under Tennessee Law. Good lawyers are expensive. Bad lawyers are really expensive.